The Hollywood Reporter had a different take on Wednesday, reporting that shoe deals are the biggest obstacle in attracting other NBA stars to the project. According to the report, Stephen Curry, James Harden and Kevin Durant are among the NBA stars that won’t appear alongside James in the movie. While James is a Nike spokesman, Curry represents Under Armour and Harden wears Adidas, which presents a conflict with the “Space Jam” franchise. The original “Space Jam” in 1996 was based off a Nike-Looney Tunes crossover commercial that featured Michael Jordan and Bugs Bunny battling with other Looney Toon characters over stolen Air Jordans. 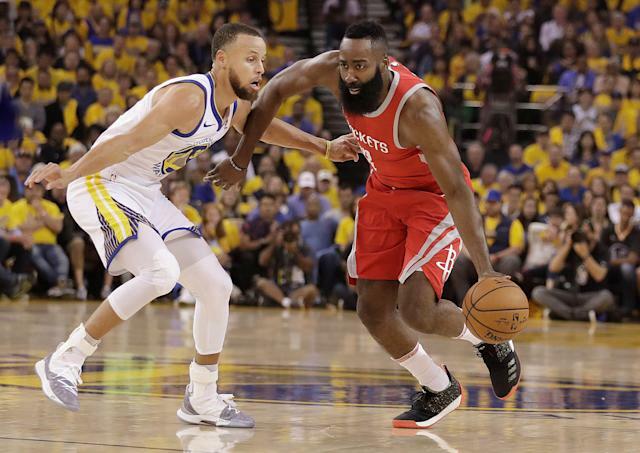 The Nike tie-in presents an obvious conflict for Curry and Harden, a hurdle that sources told Hollywood Reporter makes it “nearly impossible” for the two stars to participate. The report also notes that Warner Bros. is responsible for roping in talent for the film. While it’s easy to pile on James and the Lakers right now, the Hollywood Reporter report points to multiple sensible reasons that NBA stars aren’t flocking to “Space Jam 2” that don’t involve James.